Hi, I'm Madison, a guest blogger here at Only WDWorld today to talk about Star Tours! I don't know about any of you but, I am a Star Wars fanatic. 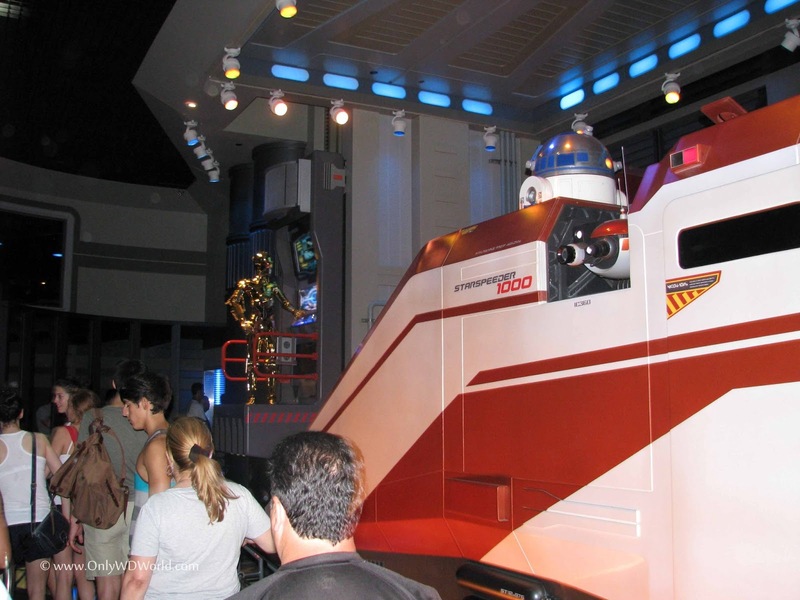 So when I heard they revamped the old Star Tours ride of course I was excited. 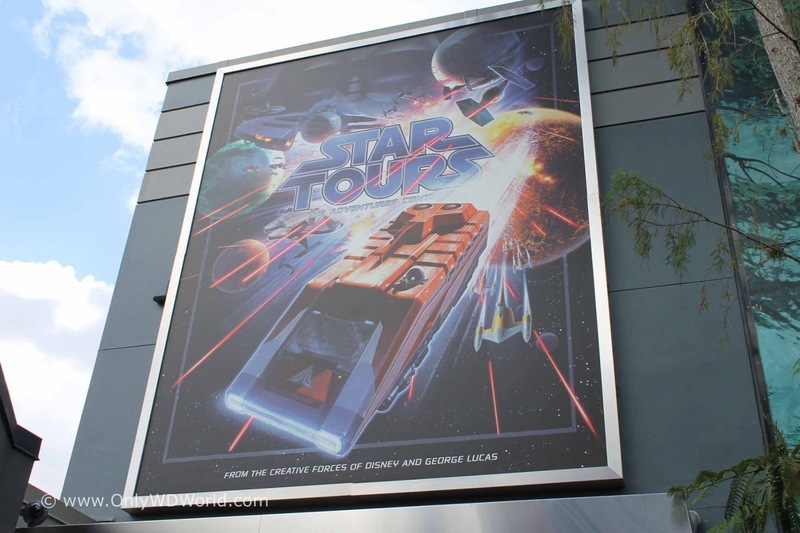 Let's begin with Star Tours at the once feared line. The wait here isn't too bad now that the "shiny penny phase", as I like to call it, has worn off. 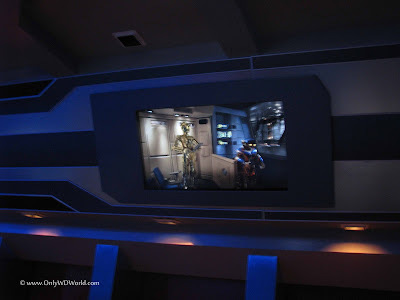 There are a lot of cool things added for you to look at as you meander through the forests on the moon of Endor and, then into a galactic shuttle station. 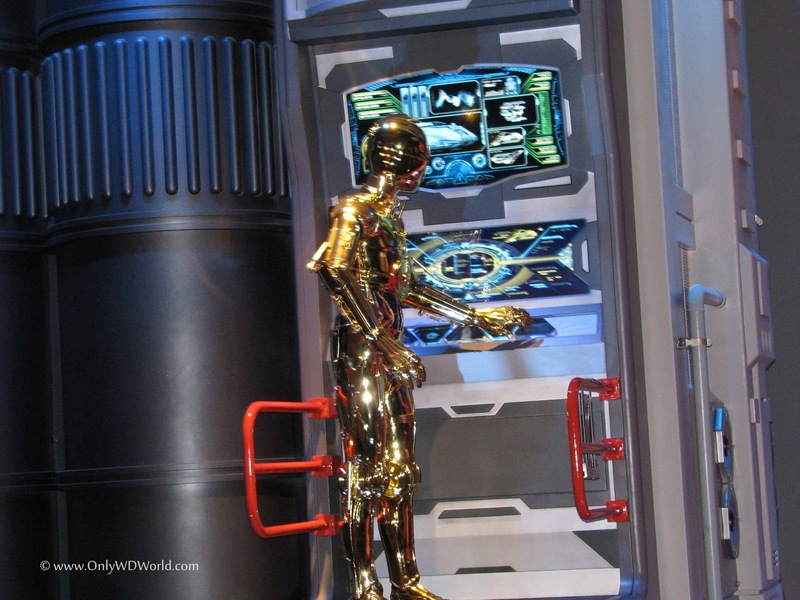 Some of the characters you should spot in animatronic form are: Admiral Ackbar, C-3PO, and R2D2. 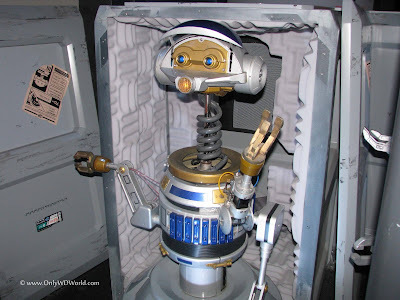 After that you will make your way up some stairs past Rex, the droid not the clone wars commander, who is relegated to reject status after being the Pilot of the previous version of Star Tours! Finally you will board and now you have a new captain: C3PO! 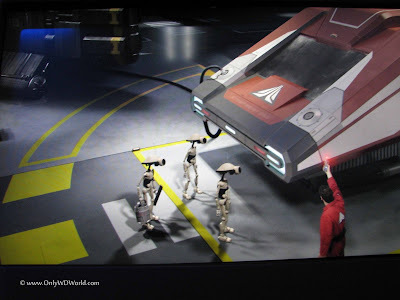 Your flight is stopped by some storm troopers looking for a rebel spy. The spy will be someone on the ride with you. I, sadly, have never gotten picked for this honor. I'm still in the process of figuring out when they take our picture. One time the rebel spy machine picked out a little boy whose face was painted like Darth Maul and I was like "What? 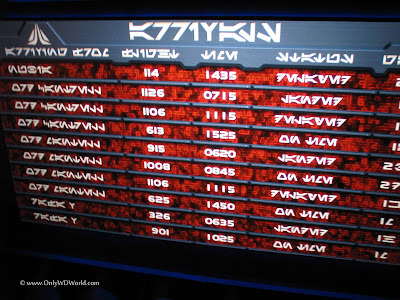 Darth Maul's a rebel spy? Did I miss a Clone Wars season?" The new ride varies greatly from the old model by the fact that now there is more than one experience. There are lots of different places can be sent and they are all very fun! Some of them include.... a galactic battle, Tatooine for pod racing, the wookie planet, Hoth, and even Naboo! I really love this ride and I hope you guys like it too! P.S. 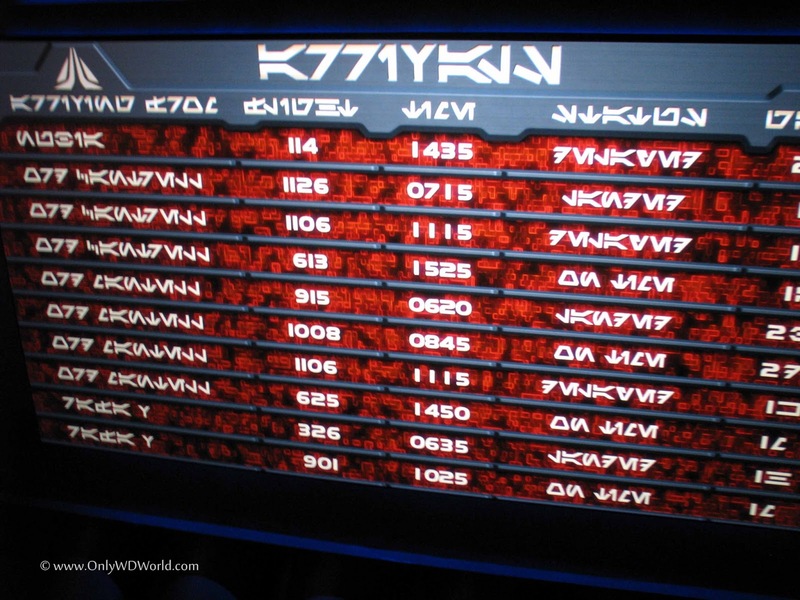 If any of you are stuck in line for Star Tours and need something to entertain yourself try decoding Arubish, official Star Wars galaxy language, on the departure screen once you get to the interior part of the line. 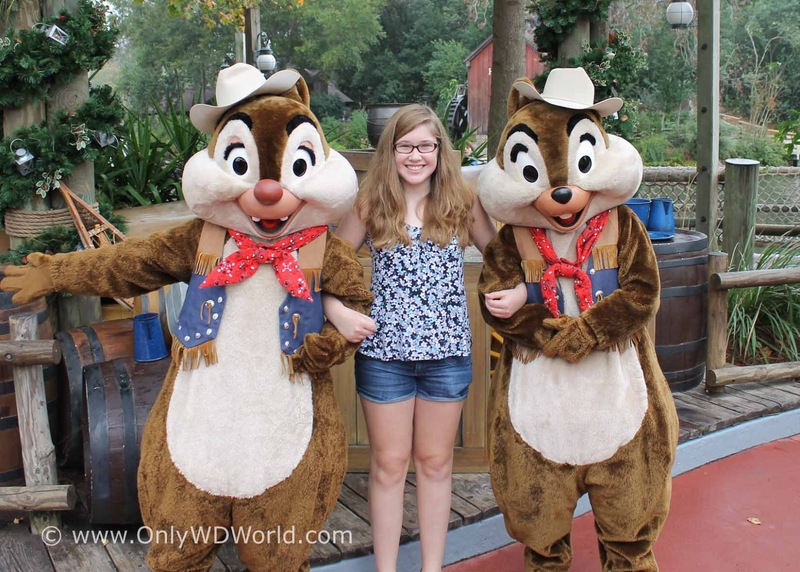 When not riding Star Tours, or attending Star Wars Weekends, you can often find our guest blogger Madison hanging out with her two favorite Disney characters, Chip n' Dale! 2 comments to "Try Star Tours At Disney's Hollywood Studios To Experience The World Of Star Wars"
Great article Madison! Can't wait to read your next article!! 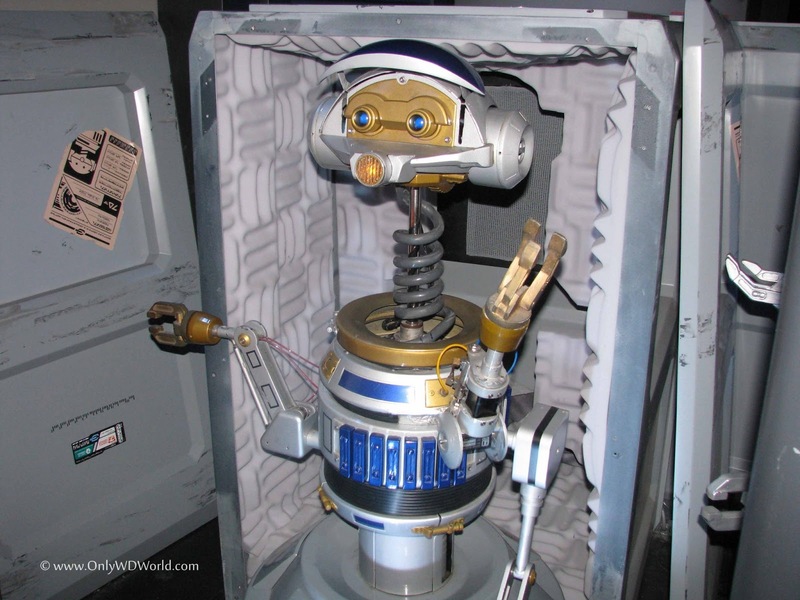 Hopefully there is more Star Wars that will be added in the near future at WDW.